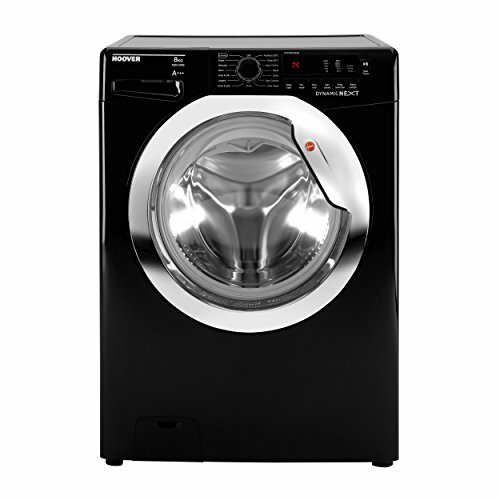 With a generous 8kg load capacity and up to 1500 rpm spin speed, the Hoover DXC58BC3 Washing Machine is available in stunning Gloss Black colour with Chrome door. With 12 different wash programmes to choose from including dedicated cycles for sports, baby and delicates, it delivers top class results with every wash load. 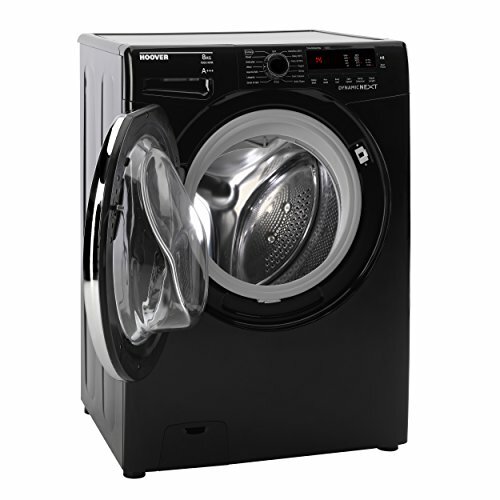 Equipped with the latest programmes and features, the Hoover DXC58BC3 Washing Machine is quiet with only 60dB washing noise and 81dB spinning noise. 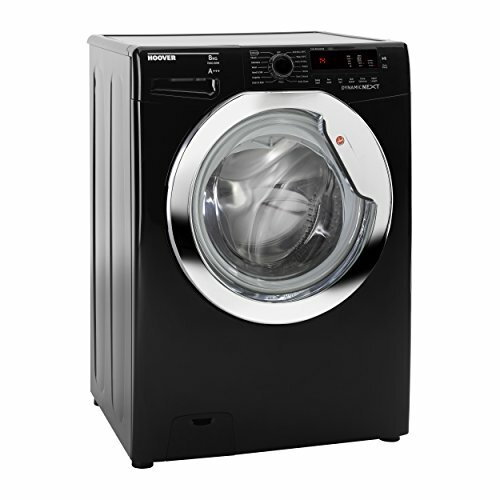 The Hoover DXC5BC3 Washing Machine has advanced features like the Kilo Mode function that weighs the laundry, adapting water, energy consumption and time of washing with scientific precision. Its innovative Activ Eco Wash Programme allows you to wash different fabrics and colours together, such as cottons, synthetics and mixed fabrics at only 20°C and provides an excellent cleaning performance. Consumption on this program is about 40% of a conventional 40°C cottons wash. 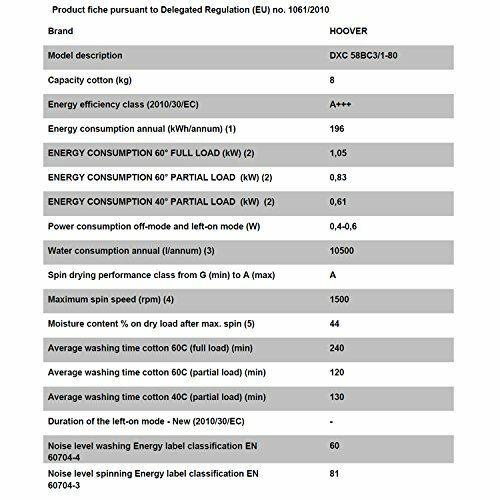 The Hoover DXC5BC3 Washing Machine also includes temperature and spin selection. 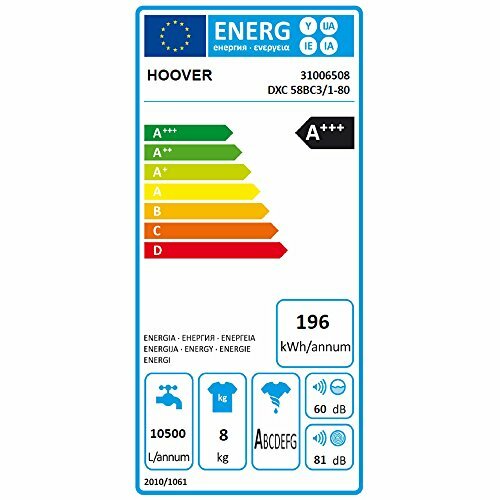 With 'A+++' rating for energy efficiency, 'A' grade for wash and spin performance, the Hoover DXC58BC3 Washing Machine is a best choice.